This weekend saw a fantastic display from CVFR’s young talents and experienced, club veterans in Championship races both home and away. 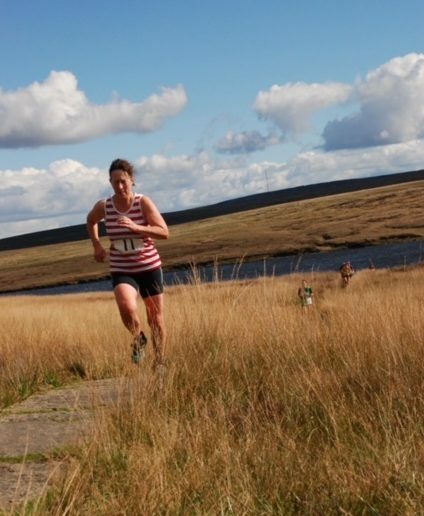 The sun was out for the ten CVFR who made the trip to Marsden for the Utterly Butterley Fell Race. As the penultimate Club Championship short race, this was a chance to grab some last minute points. 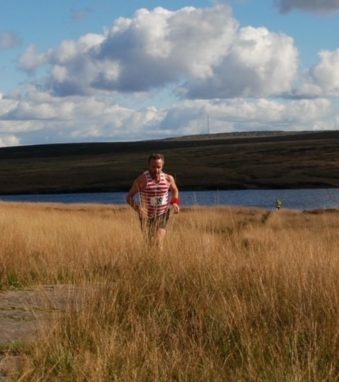 Starting at the Butterley Reservoir, this is billed as a ‘scenic route which visits 5 reservoirs in under 5 miles’, with 850ft ascent over the Moors above Marsden. Rob James (Royton) powered home to set a new course record of 29.34 mins. Martin Howard flew off the start to lead the race but suffered a stitch which slowed him to human pace. 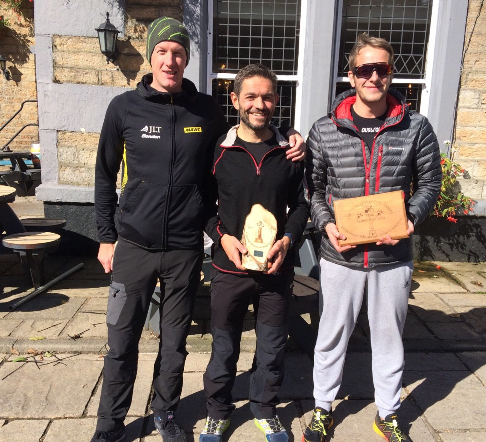 Calder Valley men put in a superb performance to win the team prize with Martin Howard (3rd overall), Jonny Croston (8th) and Phil Wells (11th). Carole Fryer continues to run well and was pleased to get FV50 which she thought she had missed out on. Carole Fryer in fine form at Utterley Butterley. Tamsin Cooke claimed an unusual prize for best scare after injuring herself! Thankfully no serious harm done. The Lost Shepherd made its debut on the Calder Valley race calendar this Saturday. 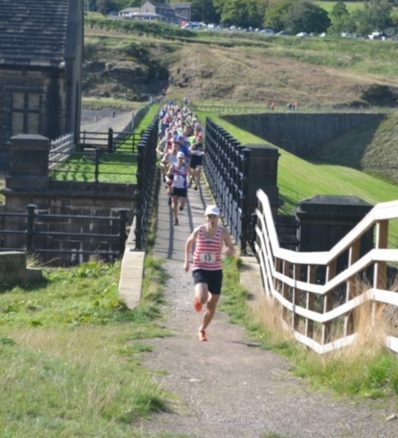 53 runners took on the challenging partially flagged 15 mile race over open moor and foot path with 2690 ft of climb. The nine checkpoints include Stoodley Pike (twice), Withins Clough, and the Shepherd’s Rest. Organised by CVFR’s Simon Fisher, all proceeds go to prostate cancer research. Andrew Worster (Todmorden Harriers) was first back in 1.57 hours followed by CVFR’s Kevin Hoult in second place and first MV40. 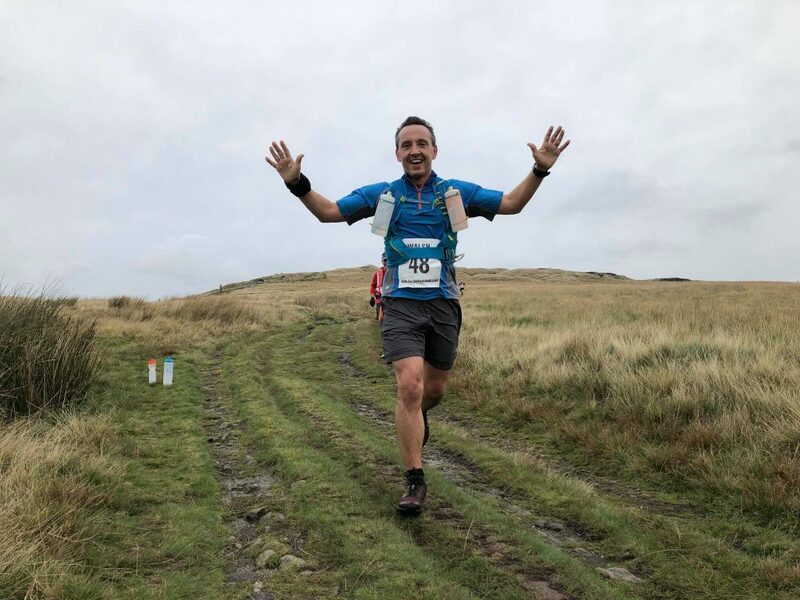 With three top ten placings, Calder Valley scooped the team prize: Kevin Hoult (2nd) Jon Smith (4th) and Bill Johnson (10th overall and 1st MV50). 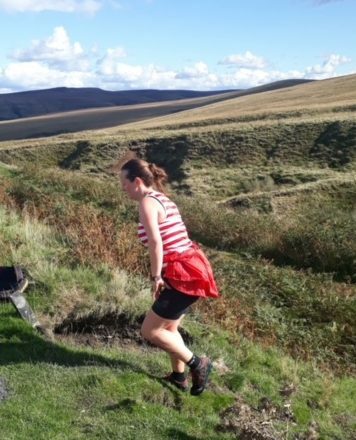 Annie Roberts made it a Tod Harriers double with 1st female (11th overall). Jackie Scarf continued the CVFR Vets’ winning form to claim 1st FV50 (3rd female) and Stella Chrisanthou was 5th female. Not content with winning on foot, Calder Valley’s Karl Gray showed how to do it on two wheels by winning the Holcombe Duathlon just 20 seconds outside the course record. This route sandwiches a challenging 27k ride over Peel Tower between two 7.5k runs. Helen Buchan put in fantastic runs and riding to finish 1st FV40.